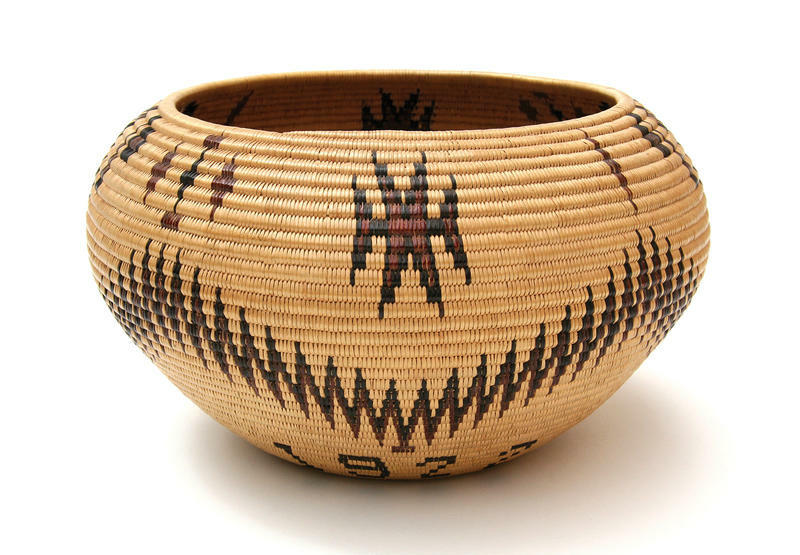 Maggie Mayo James, Washoe polychrome basket, 1922, most likely made in Yosemite Valley 6.25 in. high x 10 ¾ in. deep. Collection of Kim Martindale. 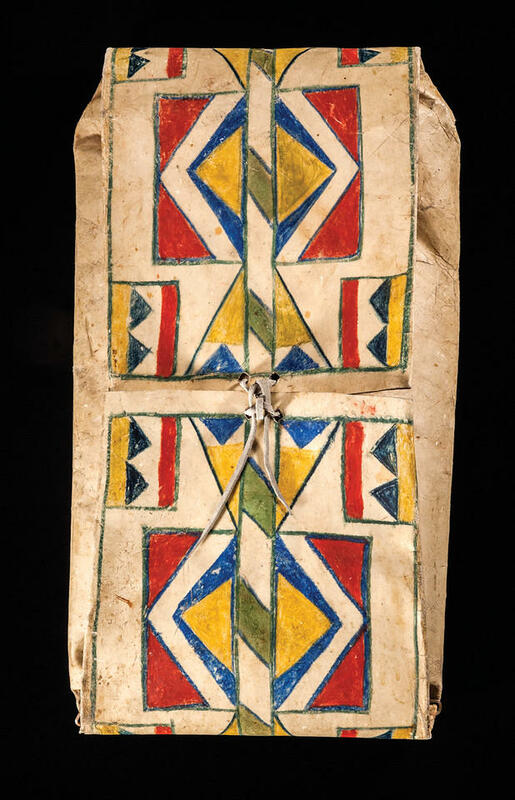 Almost 70 dealers from around the country will converge on the Santa Fe Railyard in mid-August for the 3rd annual Antique American Indian Art Show. 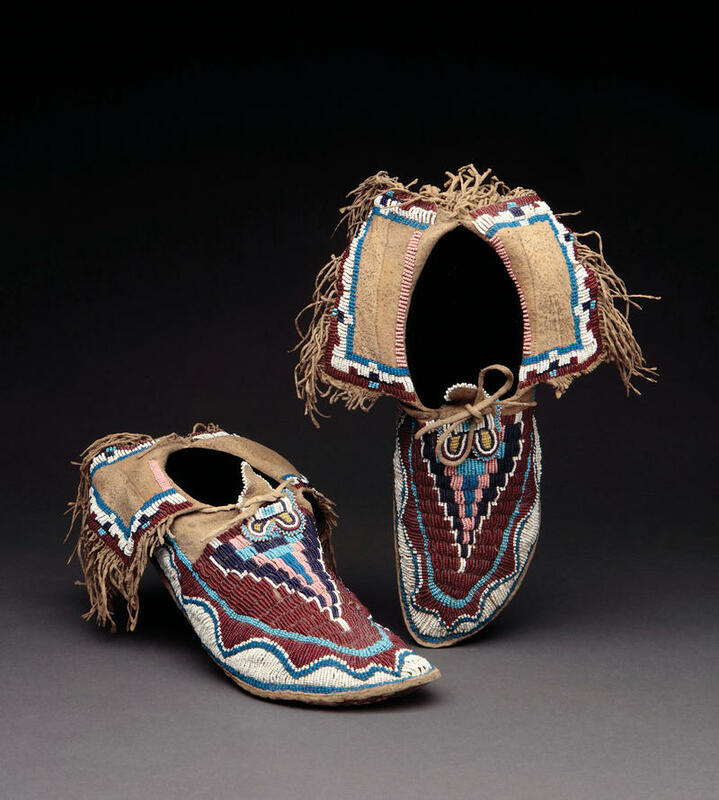 They will display, and offer for sale, a range of historical material made by Native American artisans in the years leading up to, and through, World War II. The Art Show's co-producer, collector Kim Martindale, explains how this new, dealer-based show differs from the artist-based shows, such as Indian Market, that have long defined summer in Santa Fe. In this longer version of the interview, Martindale talks about Woven in Beauty: 100 Years of Navajo Master Weavers from the Toadlena/Two Grey Hills Region, a curated exhibition of Navajo textiles that is running in conjunction with the Antique American Indian Art Show.